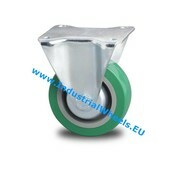 At IndustrialWheels.com we have a wide range of fixed castors in stock, which we can deliver all over Europe within 72 hours. 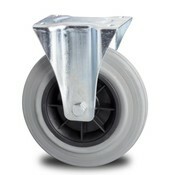 The fork of our fixed castors is made from pressed steel or welded steel for heavy duty items. 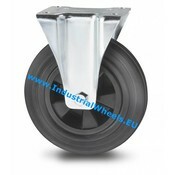 It's possible to customise the fixed castor wheels with a brake attached to a central locking system. 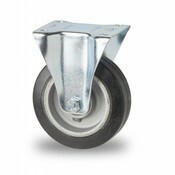 This doesn't take long. 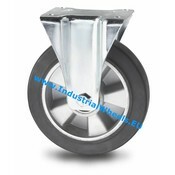 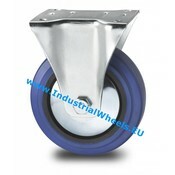 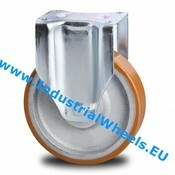 Please don't hesitate to contact us if you can't find what you are looking for on Industrialwheels.com. 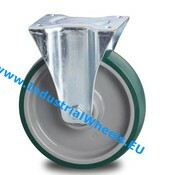 We have many options available to help make your perfect wheel.